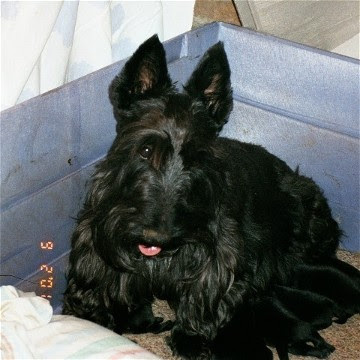 Montgomerie of Camas - AKC Scottish Terriers: "Sarah"
Sarah was very loving and would click her teeth for your attention as if to talk. She loved to lay in your arms upside-down. 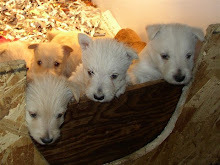 She was a wonderful mother & would have kept her pups until full growth. We kept her daughter Katlyn & she is great-grandmother to Roxie; her twin sister was Treena. She spent her last 6 years with Larry & Jan Payne; they loved her dearly.